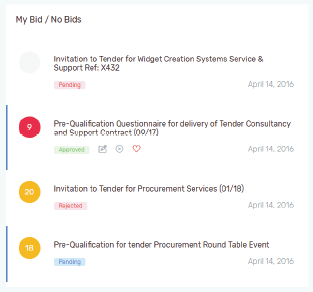 A built in ‘Bid/No Bid’ system allows to you systematically review your likely chances of success with each tender you bid for. 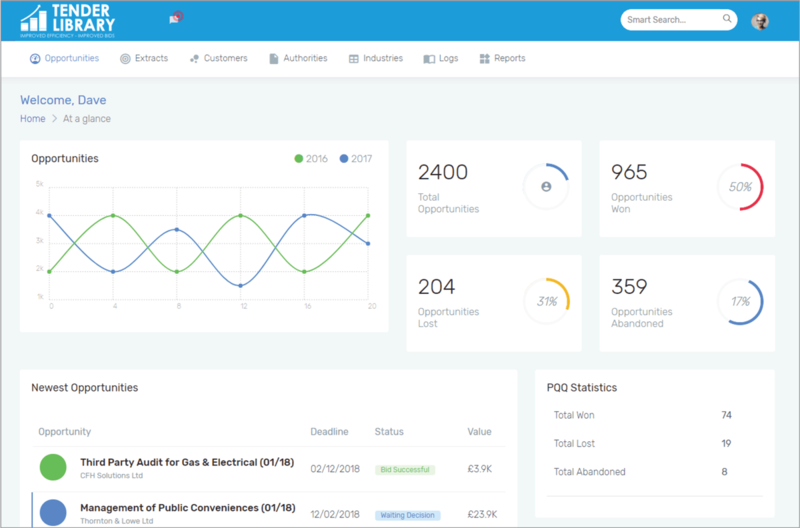 It quickly makes you consider how to increase your ROI when bidding, while having a reporting system to ensure lessons are learnt from each bid decision. 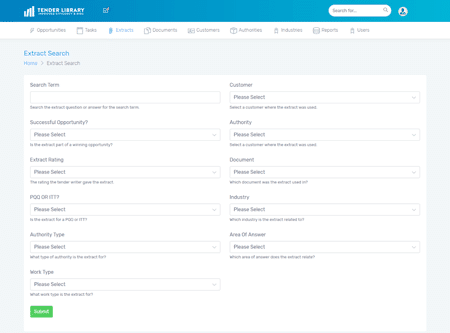 A bespoke task management system moves you away from the constant chasing of information from your colleagues. 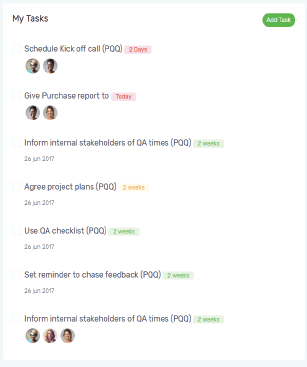 It ensures there is a clear system in place for each bid, all involved know their roles, what is required from them and deadlines. This is reported through a RAG (red, amber, green) system. Often a small team or a single person is responsible for completing bids for a company. This means if they leave the business or even take annual leave it can impact the organisation's ability to bid. This is because they know where your information is, what has worked in the past and where key evidence is filed. Tender Library ensures even a new member of staff can easily and quickly access this vital information. easily accessible, ensuring continuous improvement, and providing bid continuity. The perfect tool for every Bid Team and individual Bid Writer. When working on the Tender Library it saves you time; on average 30% more efficient. The system ensures everything is linked. So, once you find an interesting response you can then instantly open the entire bid or view comments and supporting documents.